There was an article recently on ExtraSpace Self-Storage building a brand new self-storage facility in Al Quoz, Dubai. The 23,000-sq-ft, fully air-conditioned warehouse offers personal storage units with stainless steel lockable units, AC ventilated, and individual access keys and alarm systems to ensure the full safety of personal items. While this sounds impressive, consider the fact that we’re talking about only a half-acre under roof – that’s tiny. Perhaps ExtraSpace wanted to get some publicity, but there’s no question that the future of self-storage is strictly inside America. The U.S. has more self-storage than the rest of the world combined – and many times over. The bottom line is that virtually all countries outside the U.S. fail to have enough accumulation of material goods to require significant storage. So don’t expect to see a huge rise in self-storage facilities on the global market. This is one industry that is strictly an American invention. There is no magic to successful marketing. There are some scientific theories, developed years ago, that shine light on the correct way to perform many marketing functions. Here are some marketing tricks that every self-storage owner should know. The human eye is attracted to the opposite of the color that they are seeing. If you look at a color wheel, the eye seeks out the exact opposite of the color that is currently visible. For example, if you see purple, your eye will pick out of the crowd yellow, which is the opposite of purple. Similarly, if you see a field of green, you will seek out red. This is why Public Storage has orange signs – because they know that orange is the opposite to the colors that you see when driving around, green for trees and blue for sky. That’s also why many businesses have red signs (McDonalds’, Wendy’s, KFC, etc.) because they are trying to play off the green you see as you’re driving down the road. Earth tones are never appropriate for signage, as they will be lost in the background and have no impact at all. In the 1930s, movie studios did extensive research to figure out how much they needed to spend to advertiser during the Great Depression. They tested consumer response, and found that you need to reach a customer seven times with your marketing to actually make them remember your business and take action on it. The bottom line is that you need to “build” your marketing, and hit the customer over and over with many different marketing attacks. A successful campaign might include internet, direct mail, signage, radio – whatever you can do to reach your customer base – and attempt to “touch” the customer at least seven times to be successful. Have you been to a Walmart? What do you notice about the pricing? Most people notice that nothing is ever a round number. Instead of $5, it’s $4.99. Instead of $40, it’s $39.99. The reason is that the customer really focuses on the first digit more than any other. The moral is that, if you’re renting units for $100 per month, a better price is $99.99. That one penny difference has huge ramifications in consumer behavior. There have been many studies done on how many words your ad should contain. The finding is that you need to give the key points and quit. The average American has no interest in reading a “book” inside your ad. You need to basically deliver the name of your facility, three key selling points of why the consumer should use you over the others (location, price, size of units, etc.) and a price special. You should not go into great detail as to the type of locks you sell or how much the manager weighs. The more you tell in your ad, the more emphasis you take off the important items. Keep it brief and important. Don’t miss out on the established marketing tricks that were built on extreme research years ago. These tricks are as true today as they were decades ago. Use these techniques to your advantage immediately. One of the key factors to getting a great deal on a self-storage facility often includes the seller carrying the financing on the deal. Some people think that this type of structure is unattainable. The truth is that you have an excellent shot at having the seller carry the paper, if you understand all the forces at play. The first important issue is who can actually carry the financing. A seller who has an existing bank mortgage cannot – they have to pay off the bank at closing, and have no ability to create paper when they do not net 100% of the sales price. It is also hard to get the heirs in an estate to carry the financing, as they are trying to liquidate and pay off the heirs in cash. The type of seller who can carry the paper is one who owes the facility free and clear, and is fairly high in age. If a seller takes cash on a self-storage facility, here’s how the numbers look. If they sell for $1 million, they will have to pay about 30% in state and federal capital gains tax, so they net $700,000 ad, at current CD rates of 2%, they’ll get a whopping $14,000 per year in income thereafter. However, if they carry the financing, they only pay tax on the money as they receive it so, in the example shown earlier, they would only pay tax on the down payment they receive, and then earn interest on what they would have paid in tax. And then get a 5% interest rate, or whatever you negotiate. The end result is that they receive $42,000 per year – which is almost $30,000 per year more in income. So if the results are so dramatic, why doesn’t every seller carry the paper? One reason is that they are scared of entering into a long term agreement with someone they don’t know very well. The way to overcome this is to “bond” with the seller through spending a lot of time with them on the phone or in person (or both). The other reason is sheer ignorance on the part of the seller. To overcome that, you should pitch them on the idea of carrying the financing at least three times, so that they are fully aware that the options exists. Seller financing is great for both buyer and seller. It requires less cost to the buyer, by eliminating expensive third party reports that banks demand, such as appraisals and property condition reports. Start giving your sellers a better knowledge of the advantages, and see if you can start buying deals with the seller acting as your bank. Those are some of the best you will ever do. There are subtle nuances to self-storage demand in the U.S. based on geography and demographics. There are rarely discussed, but real none the less. 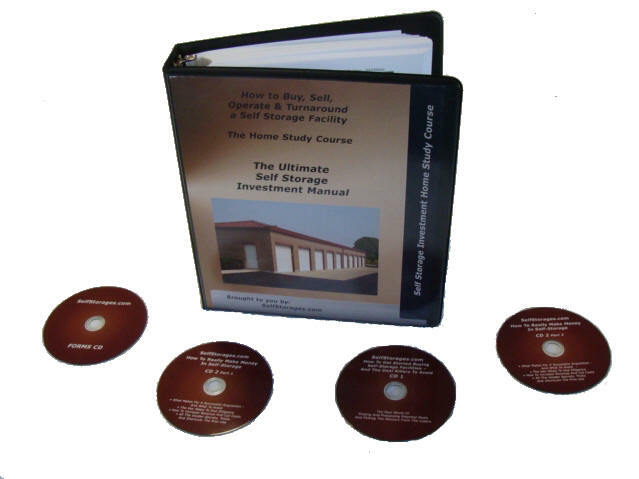 So every self-storage investors should have a basic knowledge of them. Sunbelt states have more outdoor activities and, as a result, more need to store outdoor recreational equipment. This includes everything from boats and jet skis to camping gear. These are all large items that are hard to keep at home. This is one reason that sunbelt self-storage facilities tend to have such high occupancy in certain markets – the need for storage is higher due to the fact that it’s warmer out for more of the year. Many homes in the southwest and west do not have basements. This simple fact causes more self-storage demand, because there is nowhere to store stuff at home. While those in the Midwest can always store Christmas ornaments and furniture in their basement areas, those in the southwest and west coast don’t have this luxury normally. It’s a fact that older homes have less storage space. They have fewer and smaller closets and have basically less square feet of space, period. This puts more pressure on storage demand in areas that have a huge amount of older housing. That’s why the northeast has such high self-storage demand, among other reasons. Wealthier people buy more stuff. Makes sense, right? So it also makes sense that areas that have higher demographics have higher demand to store all those items. That’s why the southeast has lower self-storage demand – incomes are lower there. That also explains why there is such higher demand in areas with the richest average population bases, such as southern and northern California. Not all markets are created equal. Although there are successful self-storage facilities throughout the U.S., there is no question that different parts of America have different issues that create more or less demand. These are very basic theories, but worth noting nevertheless.